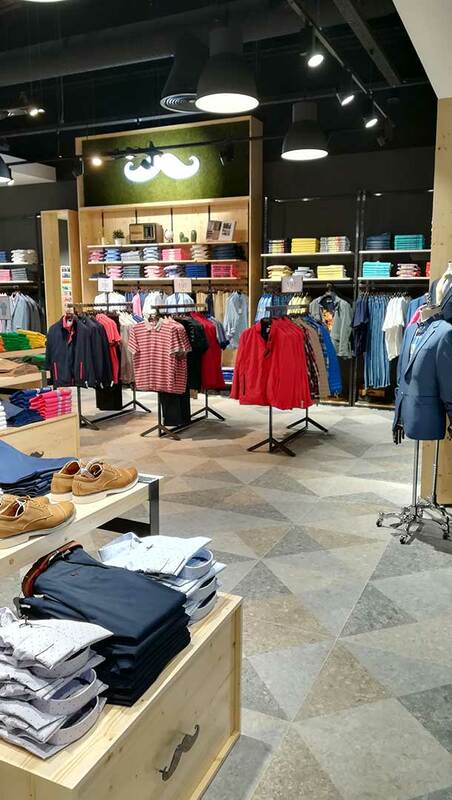 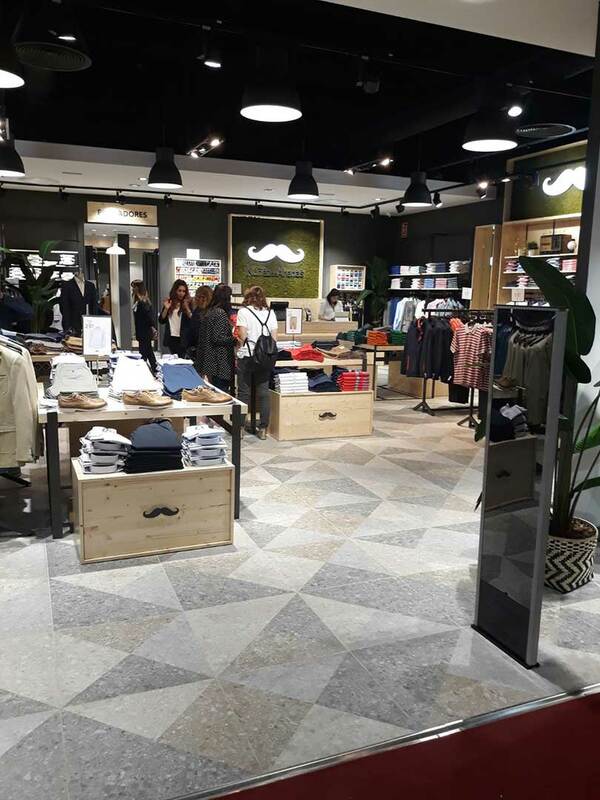 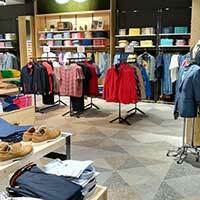 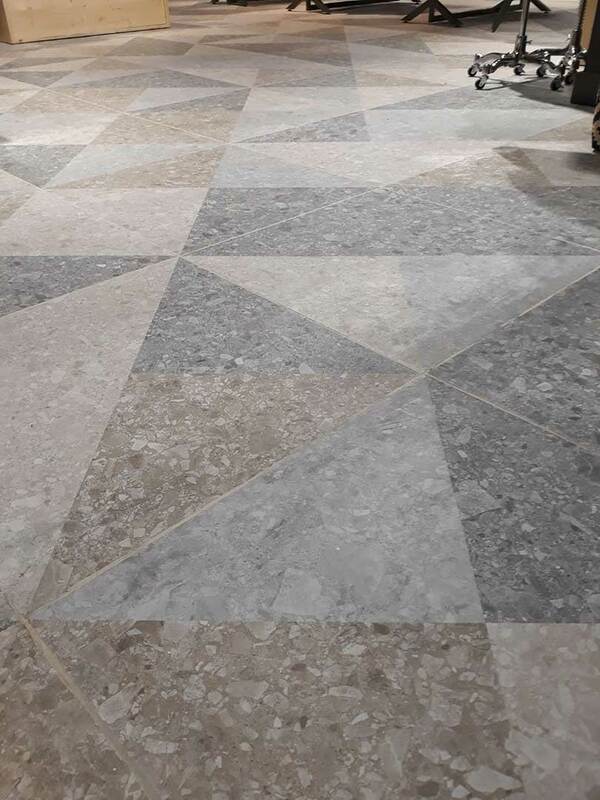 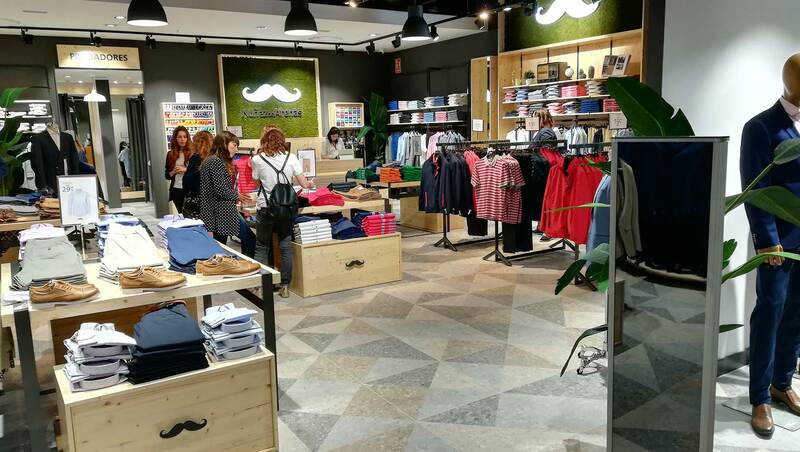 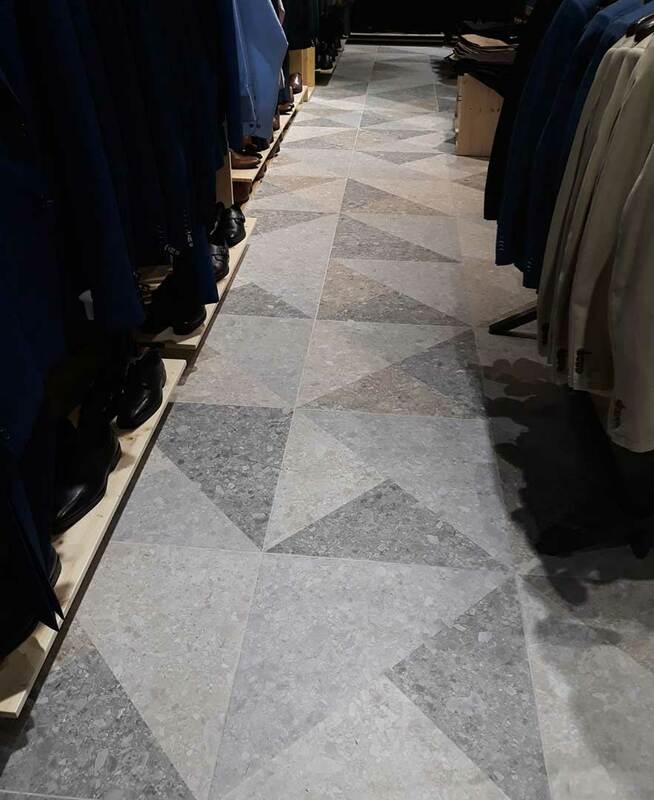 Inspired by the Italian stone with conglomerate effect, the Oriyas-R Natural porcelain tiles in the format 59,3x59,3 cm from the Ceppo di Gre series by VIVES, conveys a distinctive design to this clothing store. 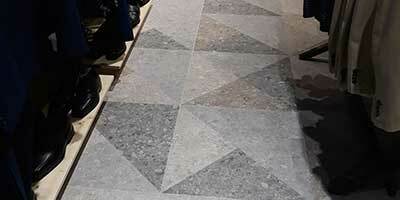 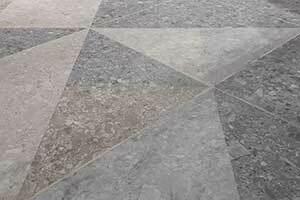 Its geometric design fills the surface with triangles in a warm range of neutral shades that alternate between the tiles. 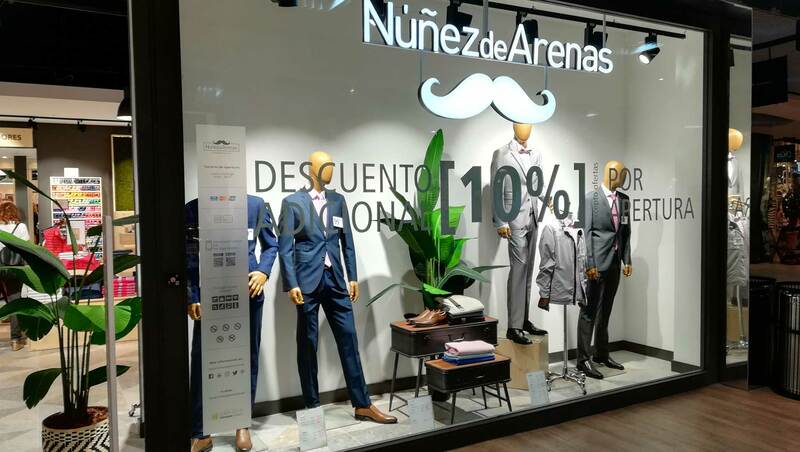 The vertical gardens stand out in the decoration of the project adorning the walls and giving a green touch to the room. 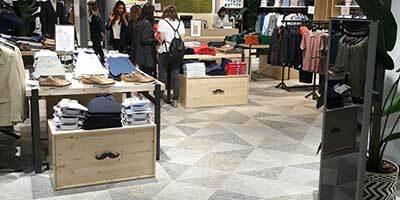 Natural elements also stand out, and the emphatic materials in the furniture are wood and the wrought iron, closely linked with the masculine and sophisticated style that the establishment transmits. 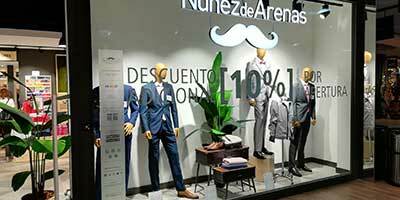 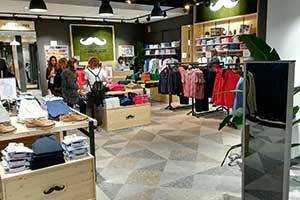 The project has been carried out by the Mena + Cruz design studio, and is located in Madrid.